LED Light Therapy is slowly gaining popularity, and for good reason, as it offers amazing skin benefits. An LED Light facial is a skin treatment that pushes wavelengths of LED (light emitting diodes) deep into the layers of the skin, stimulating the production of new cells and making the skin appear healthier, brighter, and more youthful. What’s more, it’s a painless, non-invasive skin care treatment that dramatically enhances the appearance of the skin. If you are interested in learning more about LED light therapy, you’ve come to the right place! 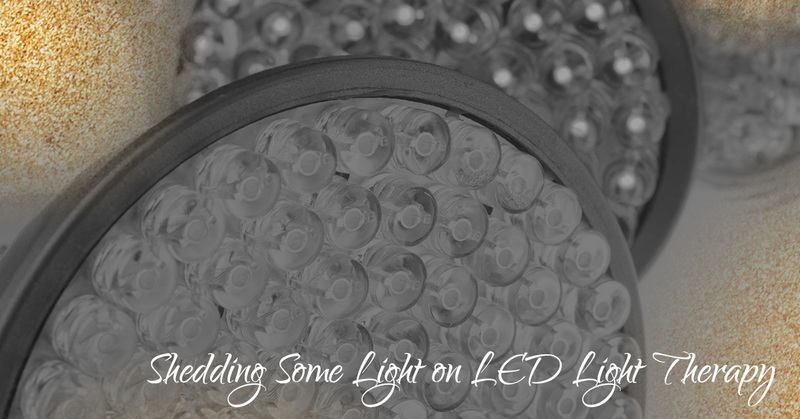 Continue reading as I shed some light on LED light therapy! LEDs first found their utility in skin care when NASA started testing them for wound-healing purposes in space. As briefly mentioned above, various wavelengths and spectrums of infrared are emitted and each of these spectrums has different benefits. For instance, amber light helps stimulate collagen and elastin and red light promotes circulation. What’s more, white light works to tighten and reduce inflammation and blue light kills bacteria. LED light therapy devices send light deep into the skin to trigger a natural intracellular reaction. Skin responds differently depending on which color of light is used. However, there is no need to worry, as the light doesn’t cause any burning or damage to the skin. And even better it’s painless! In fact, many people find it relaxing. Fine Line and Wrinkle Reduction: One of the major benefits of LED therapy is it’s anti-aging effects. LED facials are proven to have anti-aging effects as treatment helps stimulate collagen and elastin production. Improves Uneven Skin Tone: Light therapy also helps to strengthen the skin, thanks to the additional collagen production making the skin more resilient. This makes the treatment effective in treating rosacea and reducing redness. Plus, light LED therapy helps aid the skin healing process, making it is useful for healing blemishes, repairing sun damage, fading scars, and improving overall skin tone. Painless: As mentioned, another benefit to LED therapy is that it is completely pain-free. It is a relaxing and painless approach to treating skin concerns such as hyperpigmentation and acne. Works For All Skin Types: Additionally, LED light therapy is the only skin care treatment that has no contraindications. It is good for all skin types, colors, and conditions. In short, LED light therapy is great for reducing the appearance of wrinkles, improving uneven skin tone, reducing pores, and brightening the skin. It helps stimulate collagen and elastin production in a comfortable and effective way. Try LED Light Therapy in San Jose! If you are ready to try LED light therapy, contact Nichole Lynn Esthetics. As a licensed esthetician, I can help rejuvenate, revitalize, and brighten your skin, whether you have dry, wrinkling, oily, aging, or sun-damaged skin! To schedule your LED Light facial appointment, or to request a free cosmetic consultation, contact me today!